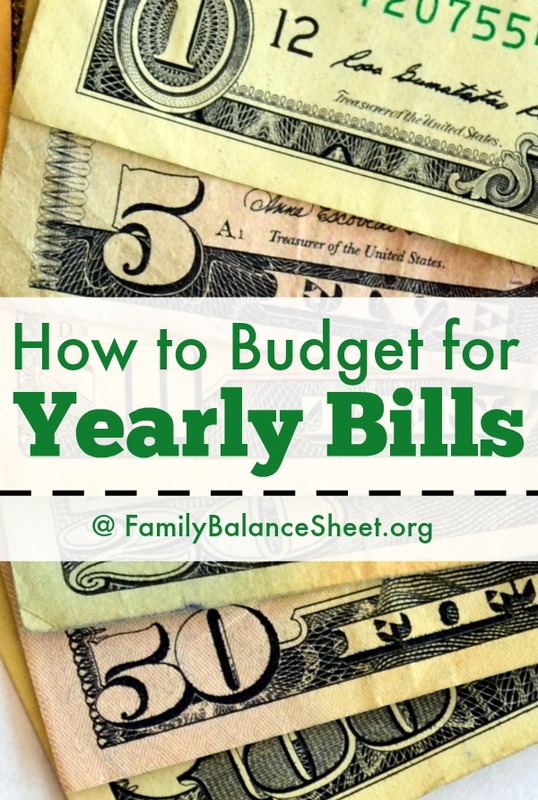 Not sure how to budget for your yearly bills? They can cause a panic, but let me show you how to pay for yearly bills without stressing out. 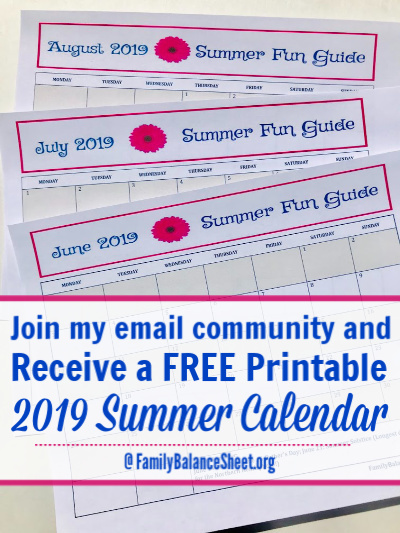 I have built a monthly system to set aside money specifically for our yearly bills and while I still dread writing those large checks, I am no longer paralyzed by it. 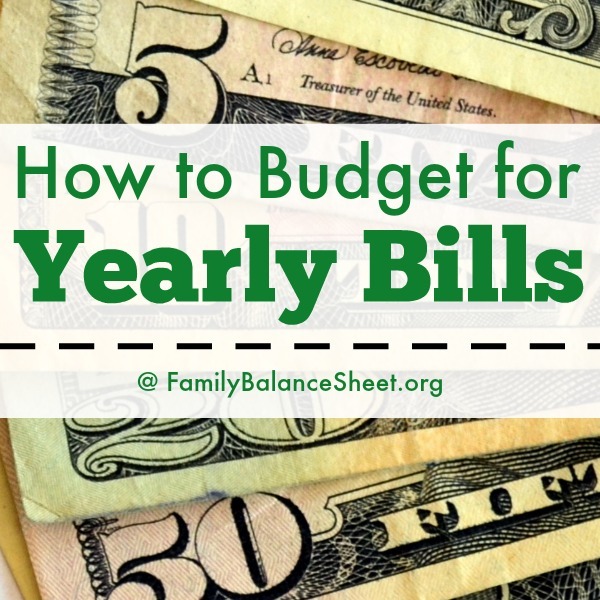 If you struggle paying yearly bills on time, then keep reading! April is always a very expensive month for us. Our home-owner’s insurance, auto insurance, and local real-estate taxes (for our home and our business property) are due, and on top of that, there have been years where we also owed the Federal government. Typically in April I write checks that total in the four figures with everything combined. Years ago, April would have sent me into a panic. Today, I built a monthly system to set aside money specifically for our yearly bills and while I still dread April, I am no longer paralyzed by it. Years ago when we refinanced our mortgage, we were no longer required to send an escrow payment to the bank for real estate taxes and our home owners insurance. With this change, I knew that I needed to be responsible with setting aside money each month. 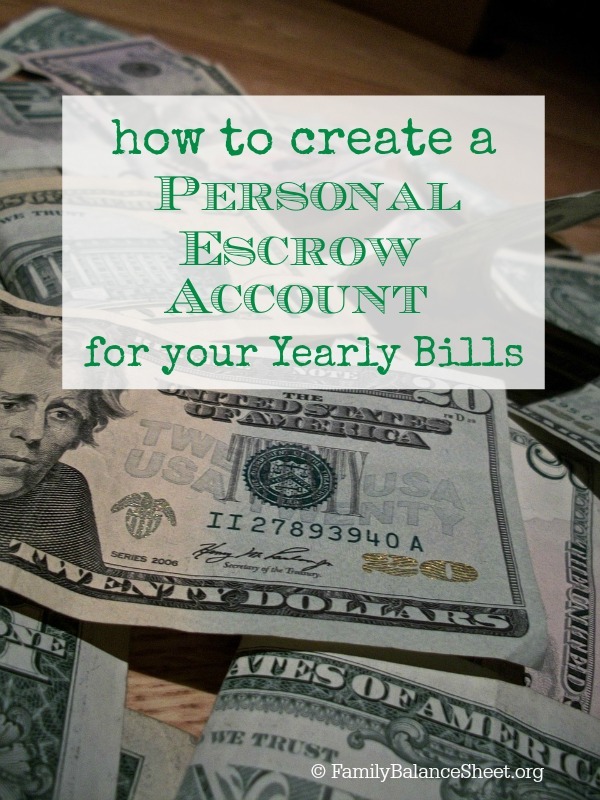 I also realized there were many other bills that were due on a yearly and quarterly basis and I wanted to secure that money too, so I came up with my own system–a personal escrow account. 1. Make a list of ALL your yearly, quarterly and any other non-monthly expenses. 2. Add up this list of bills and divide that total by 12. 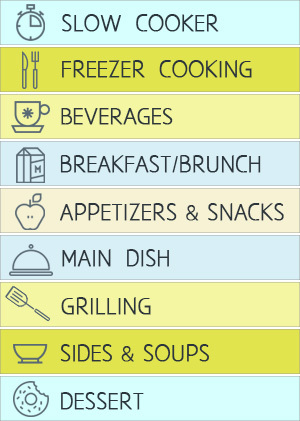 This new number will become a line item on your monthly budget. 3. Set aside that new number every month. Every month, transfer this money into a savings account that is connected to your checking account. When you are ready to pay a bill, transfer what is needed from the savings into the checking to pay the bill. This savings account will strictly be your Personal Escrow Account and is only to be used for the bills that you have identified for the fund. This is not an account to fund anything else–ever! Every year when you get a new bill, remember to update your list and make any changes to the amount that you need to save each month. I get it. The first year could be tough, especially if you have never saved monthly for these bills. This system could take you up to a year to run smoothly, so if you start the fund in May and a bill is due in June, you most likely will not have enough money in your fund yet. Don’t let that deter you. This system works very well for us, but we have been doing it for several years. It will take some time. To get started, you might need to supplement your account with additional money until you have accrued enough to pay your bills. Read my 31 Days to Find $1000 series for ideas to find those funds. A year might sound like a long time, but by transferring this money diligently each month, you are on your way to less stress and more calm when paying your bills. 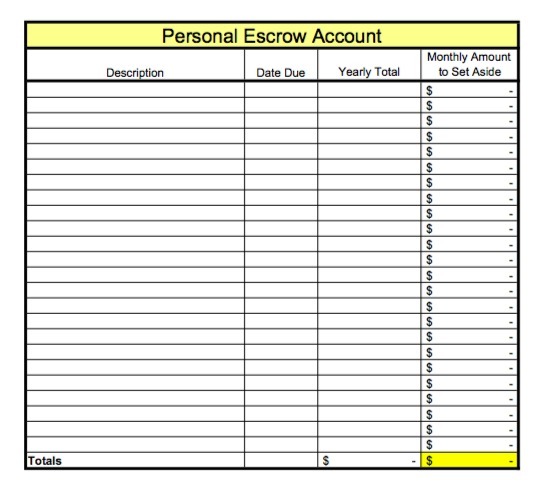 This Personal Escrow Spreadsheet is one of the 10 Excel spreadsheets in my Family Budget Spreadsheets bundle. It makes planning your quarterly and yearly expenses much easier. 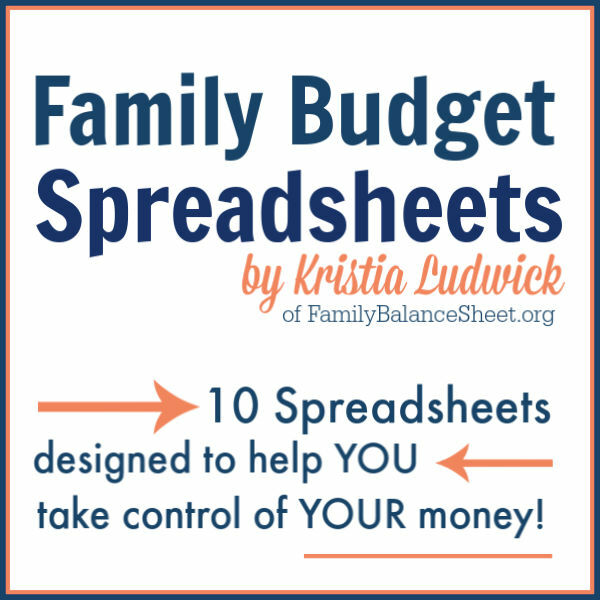 For more information, go to Family Budget Spreadsheets. How do you pay for your quarterly and yearly expenses? Do you have a fund like this to pay those bills? Will you start one? Let us know in the comments. I started doing this in 1991. We used to be broke December through July every year, with Christmas, birthdays, anniversary, mom’s day, dad’s day & every yearly bill we had. Everything came one right after the other for 7 months straight. EVERY YEAR! Then I started doing this and we always have money to pay the bill when it arrives. I was planning on creating a post about the same subject for my business page. Thank you so much for saving me from having to do it. I’ll just share yours instead. Thanks, Jo Ellen! I use this same strategy with gift giving too. I have been using my savings account as my everything bucket. Emergency/survival fund (just lost my job), unexpected bills (car, house, etc. ), as well as home project and nice to have’s. The drawback with using a savings account, if you like online banking, you are limited to 6 transactions a month. Instead, I just opened a completely free checking account with my credit card company. How does this help? 1. With my credit card I receive anywhere from 1 – 15% cash back, great coupons to my favorite stores, and quarterly 5% cash back offers. No annual fee, and additional free benefits, such as warranty extension, price guarantee, etc. 2. The free checking account gives me 10 cents each cash back for up to 100 transactions a month. Free money. I use it for things I need /want to buy, I can get the cash transferred to any bank account, get store coupons (e.g.use $20.00 cash back, get $25.00), or I can use it as currency on amazon.com. 3. I use e- and paper coupons, but only buy when the items are on sale or BOGO events. One shopping trip I saved $140.00 at one store, $76.00 the same day at another. I put at least half of what I saved into savings, the rest into checking. It’s a great way to build your esgrow. I still cannot believe that I purchased an over $400.00 cat tree for less than $8.00 including shipping! Bought my fab Shark vacuum on sale, 20% coupon, and received $20.00 cash back. Insane daily sales on wayfair.com, myhabit.com, amazon warehouse. Often there are better deals online than at the actual store. Many provide free site to store shipping. 4. Auto debit of funds around pay day into savings. Even if I do need some of it to cover bills, still saving. 5. I am not a coupon addict like some people you see on TV, BUT I have created a seperate email account just for offers and coupons. I have saved hundreds. It is worth the irritation and work once or twice a month. 6. I use my points from stores as cash or gas points. Walmart Savings Catcher, may be just a few pennies, a couple of dollars, but it all adds up in one day. 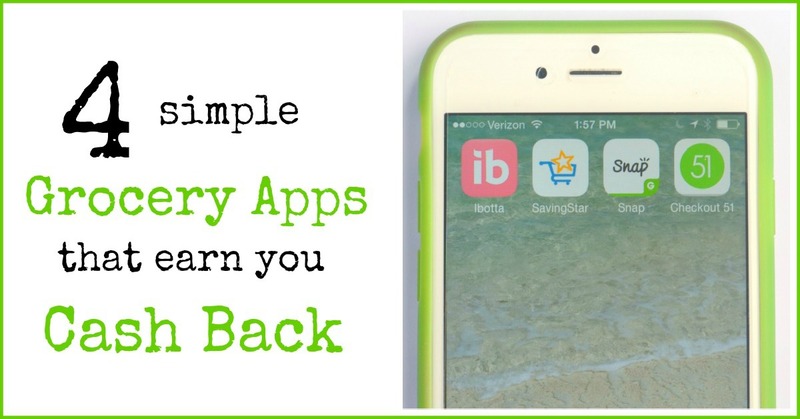 Walgreens app, KMART “Your Way”, Target Cart Wheel, Home Depot Garden Club, JoAnn’s email, paper, and competitor coupons, price matching of their own online vs store price. Dealsplus.com, dealcatcher.com, etc. 7. I ask for discounts, price matching, if a store accepts competitor coupons, etc. 8. I know where to get certain things for free. Many construction sites will let you take lumber, siding, fill dirt, etc. that ends up in the trash. I do ask for permission though. Free tile because there is a limited quantity, small rugs from show room samples, free gardening materials like pavers, lava rocks, etc. All things you don’t have to buy. It is amazing how much you can get just by asking and being a loyal customer without breaking your budget. 9. Goodwill! Original 1975 La-Z-Boy – $10.00. Brand new Calvin Klein jeans – $0.99. Brand new Target shoes for a fraction of the original price. I am so glad I challenged myself to never pay full price again, because my savings are keeping me afloat until I work again. I too love this idea. Have been doing this for a couple of years now, what a difference it makes. 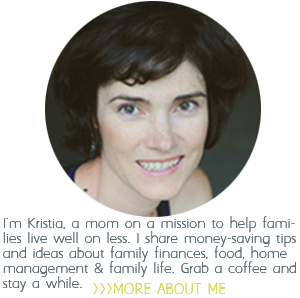 Kristia for keeping us debt free with all your inspiring ideas. “Shrinking Funds”; now that’s funny. 🙂 There are times when my funds shrink all by themselves! I also read the post about signing up for online surveys. Great resource. I started with e-opinion.com a few weeks ago. Almost $19.00 in the kitty. If you don’t qualify for a survey, you still get $0.25 cents. Maybe not big bucks, but in time it will add up. This is brilliant! It might seem challenging to set that money aside each month, but it is a lot harder to have those bills come due and be short. Most of our bills are monthly, but we did just switch to paying our auto insurance yearly. My husband’s income varies so this is challenging for us. We pay our bills each month, spend as little as possible, and put what we can in savings. That way, when a bill comes due, hopefully we have the money in savings to cover it. It is nice when your income is consistent and you can budget with firm numbers, but we do what we can with what we have. I’m so thankful to have you here with your tips and encouragement, Kristia! Thanks, as always. Blessings. Do you use a completely separate bank account? A savings account? An investment account? I put some yearly finances savings for big payments into an investment account, but when the time comes, I hate taking it out knowing that it is making me money. Thoughts? Ours is not an investment account, but a savings account that is attached to our checking account, making it easy to transfer when we need the money to pay the bills. We have yearly bills due throughout the year, so this is the easiest way for me to manage it all. We typically only put long term money into investments. Thanks so much for stopping by and commenting! Thanks for the post,I will try it.